Sorry to be the bearer of bad news, but we all saw this coming. 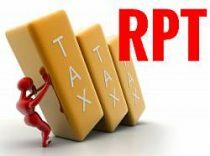 Not long after the imposition of income tax and value-added tax (VAT) on condominium dues comes Revenue Memorandum Circular (RMC) No. 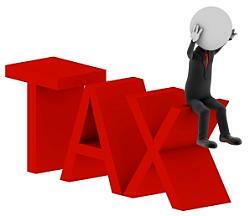 9-2013 dated January 30, 2013 which imposes income tax and VAT on homeowners’ association dues. Before anyone goes ballistic again, let me have a short discussion on the rationale for the imposition of taxes in general, and taxes on association dues in particular. 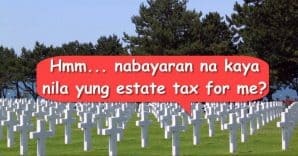 First, one of the basic premises in tax law is that “taxes are the lifeblood of the nation”. Taxation, being one of the major powers of a sovereign, should be respected. Being the price of a civilized society, as a general rule, the collection of taxes cannot be stopped. 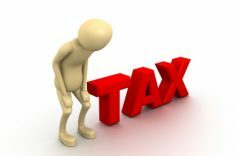 Another major principle in tax is that “exemptions are construed strictissimi juris or strictly against the taxpayer.” On the flipside, if the tax on a particular transaction or person is not specifically spelled out, no tax is due. 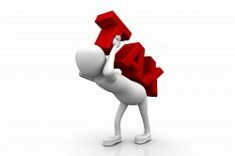 In the case of associations, they are treated like a corporation for tax purposes. 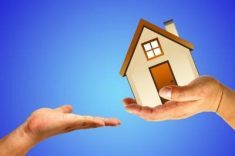 Thus, the income of a homeowners’ association from all sources should be taxable, in the absence of an exemption which is specifically granted by law. In the past, homeowners’ associations were considered as mutual aid associations exempt from income tax pursuant to Section 30 (c) of the Tax Code. The amounts they collected were considered as held in trust by the association for the third-party suppliers, for example, the security agency which provides security services. The association was a mere pass-through entity and payments were coursed through it for practical purposes only. With RMC 9-2013, however, the BIR abandoned its previous position that homeowners’ associations are mutual aid associations exempt from income tax and held that the association dues collected by homeowners’ associations are payments for the beneficial services that they render. Thus, homeowners’ associations are subject to income tax and also to VAT (provided that the gross receipts exceed the P1,919,500.00 threshold within a year) or percentage tax. How can homeowners’ association dues be exempt from income tax? 3. The homeowners’ association must present proof (i.e. financial statements) that the income and dues are used for the cleanliness, safety, security, and other basic services needed by the members, including the maintenance of the facilities of their respective subdivisions or villages. I’m sure there are many officers of homeowner’s associations who will be having questions on the implementation of this RMC. In Rule 8 of the Implementing Rules and Regulations (IRR) of RA 9904, which was approved on June 24, 2011, it is actually stated that the homeowners’ associations should get a Tax Identification Number (TIN) from the BIR, as well as official receipts and books. If RMC 9-2013 was not issued, I probably would not have read RA 9904 and its IRR – so in this sense it may be considered as a blessing in disguise. I’m also sure a lot of officers of the different homeowners’ associations all over the Philippines will be reading RA 9904 and IRR in the next few days. Those who have questions may contact the Housing and Land Use Regulatory Board (HLURB) and check their website, http://hlurb.gov.ph/. As a taxable entity, the homeowners’ associations will also need to file Expanded Withholding Tax (EWT) returns and Value-Added Tax (VAT) or Percentage Tax returns (whichever is applicable), plus the quarterly and annual income tax returns. It is advisable for the officers of homeowners’ associations to consult with the Revenue District Officer of the BIR Revenue District Office where the subdivisions and villages are located. It would be good for the homeowners’ associations to comply with the requirements of RA 9904 and its IRR and avail of the income tax exemption. Personally, I think that it is possible that the gross receipts of many homeowners’ associations will not exceed the P1,919,500 VAT threshold so they will be subject to percentage taxes instead. Also, I think that big villages may have several homeowners’ associations, one association for let’s say a group of three streets like a sub-village, so there is a possibility that the VAT threshold may not be breached. 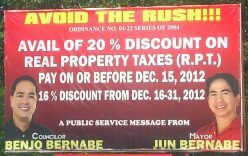 With the release of this RMC, I don’t know if someone will lobby in Congress to include homeowners’ associations in the associations exempt from income tax under Section 30 of the Tax Code (perhaps Bayan Muna could also pick up this cause), since the BIR has now held that homeowners’ associations are not considered as mutual aid associations exempt from income tax. I noted, however, that Section 3(v) defines “Homeowner” as “an owner or purchaser of a lot in a subdivision/village” and Section 3(bb) defines “Subdivision/Village” as a tract or parcel of land partitioned into individual lots, with our without improvements thereon, primarily for residential purposes.” Thus, an amendment to the law and IRR to include residential condominium associations would clarify the issue. 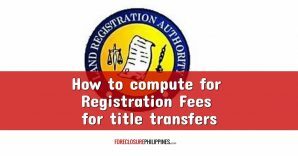 For your reference, you can also check RA 4726 and RA 7899 (Condominium Act). We support freedom of expression so everyone is free to air their views in the comments section. Please just be polite so we can maintain a healthy and educational discussion.